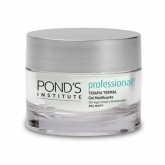 The Pond's Institute was founded in Utica New York by a pharmacist named Theron T. Pond, who created the "Pond's Golden Treasure" in 1846, a witch-hazel based wonder product. 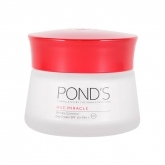 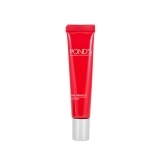 This beauty treatment was then introduced as Pond's Extract in 1886. 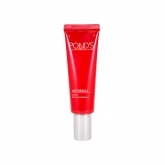 In 1914, the Pond's Cold Cream and Vanishing Cream made its way to the market which set Pond's image as a beauty brand, and triggered numerous endorsements by beauty experts. From one man in a tiny home-made laboratory to today's state of the art Research & Development facilities of the Pond's Institute, from New York, Madrid, Tokyo to the Philippines, the Pond's promise has remained the same across 58 countries for over 150 years: to deliver beauty transformations through revolutionary product innovations that make a real difference to women's skin and the way they live their lives. 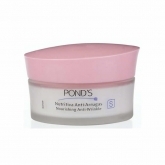 The evolution of Pond's is a true reflection of the modern woman, who is confident, vibrantly happy, and dynamic. 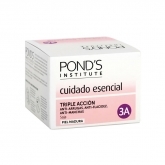 And in keeping with the times, Pond's provides products for all face care needs, in every stage of a woman's life, and even love.